Makes sense to me. Western Digital is watching "the Cloud" (Internet-based storage and computing resources) take away its business ("I hate you Dropbox"). 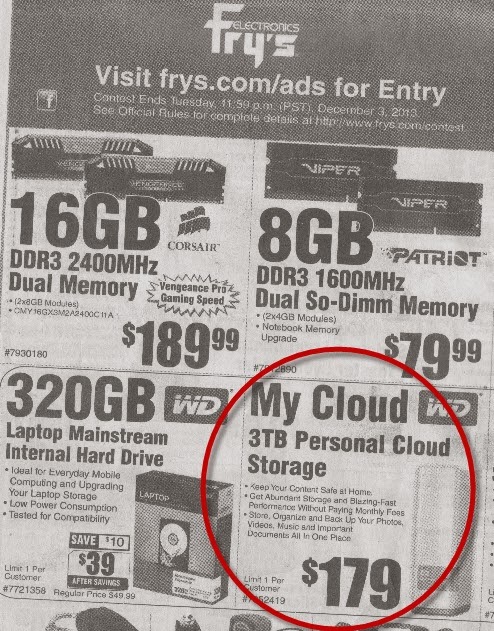 Rather than fight the buzz about Cloud Computing, WD "joins" Cloud Computing with a "Personal Cloud." 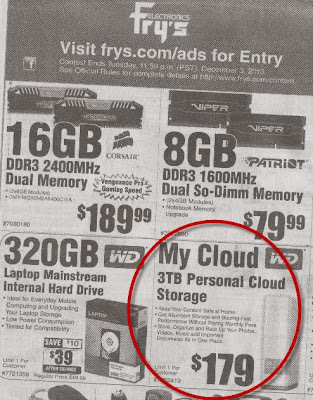 Also known as: your own hard drive. I finally got around to posting some videos of Loey on Youtube. Enjoy! Spent the latter half of Sunday with Lovely Loey. Stormy day (lots of tornados south of Chicago) and both Veva and Loey enjoyed stomping in some puddles in their big yellow boots! 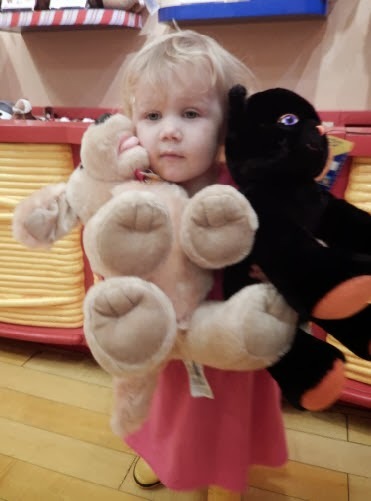 Took her to the Children's Museum for the last half hour until they closed, then got ice cream and finally a visit to Build a Bear, where she was very happy to hug two new "babies" - and also did not fuss about putting them back and not buying anything there! Loey asked (no, to be honest, TOLD) Grandma Veva Silva to lie down on the blanket and got nite-nite with her. 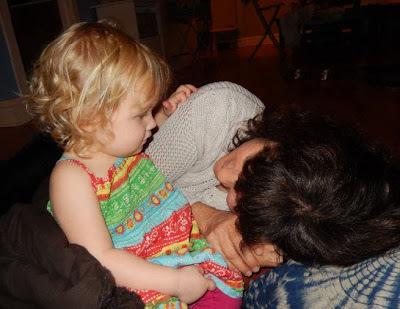 So they did that (along with a half dozen of her "babies" - mostly stuffed animals) and then Loey sat up and stared down into Veva's eyes very seriously and after a moment said "You are a baby" and then treated Veva like one of her babies, put her arm on/around Veva's shoulder, patted her. Very funny little girl! (who insists that she is certainly not a "baby", not a "little girl" not a "big girl" but a "big lady"!). 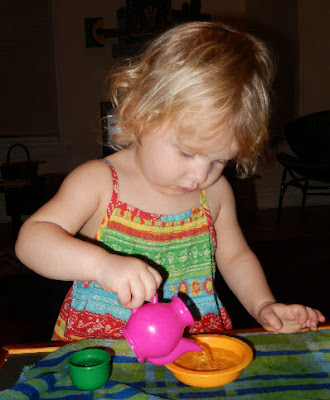 Later in the evening, it was time for a tea party! I invite all my friends and concerned strangers (though not for long, if you show up!) to participate in my first-ever Tree Rescue Day, on Saturday, November 16, from 10 AM to 12 PM, in Rogers Park, Chicago. Trees - towering above us, living far beyond our small lives - shouldn't need our help, but they do. We humans, in our relentless quest for convenience and comfort, carelessly transfer species (plants, insects, animals, bacteria) around the world, disrupting the ecological balance established through millions of years of evolution. Some of these "out of place" species go wild in their new habitats, killing off their nearest "competitors" and then causing a ripple effect throughout the ecosystem. These are known as invasive species. And in lots of places, there is not much besides buckthorn. Ugh. So I got out every week and fight back against the buckthorn. I do this at the Northpark Nature Preserve (as part of their volunteer corps) and I also head down the street to Chicago "Park" 538, a strip of land along the Chicago Channel (part of the Chicago River North Branch system) between Devon and Touhy, just west of Kedzie. 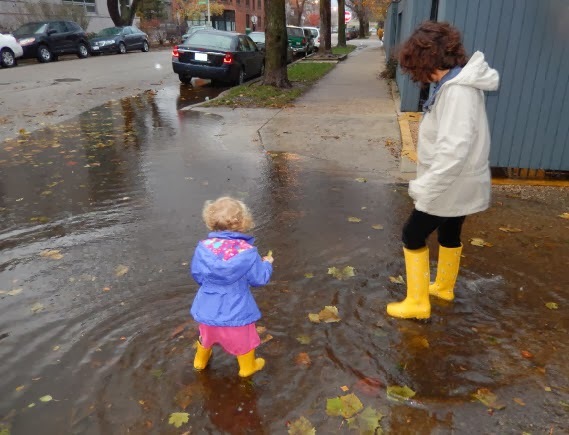 It is managed by the Chicago Park District, but CPD does not have the funds to clear out invasives here, so it's up to....us! Over at Park 538, I seek out non-buckthorn saplings and smaller trees (there aren't many left) and then clear out the buckthorn around them, to give them access to sun and a fighting chance to grow into a mature tree. I will provide all the tools, including the amazing Weed Wrench. Just get in touch through steven@stevenfeuerstein.com, and I will provide all the details, let you know what you need to bring, etc. Oh, and if you can't make it on November 16, but are interested in helping in the future, also get in touch - I go out every week, 2-3 times, so there will be no shortage of opportunity to help. I promise that you will come out of this experience feeling, well, sore, yes, but also invigorated and much more positive about what each of us can do to solve some of the big problems in our world.